We are a young couple that wants to invite you to enjoy a comfortable, nice and peaceful stay in our house, where you will find yourself immediately immersed in the nazari world. Our flat is located in the well-known and traditional Albaycin neighbourhood (declared World Heritage Site by UNESCO) just at the foot of The Alhambra, where you will enjoy the typical bars and Granada’s tapas just at your door and with the breathtaking and wonderful views of the Alhambra. We are in a magic/enchanted place where you can go everywhere on foot and enjoy visiting the most popular and beautiful local highlights. 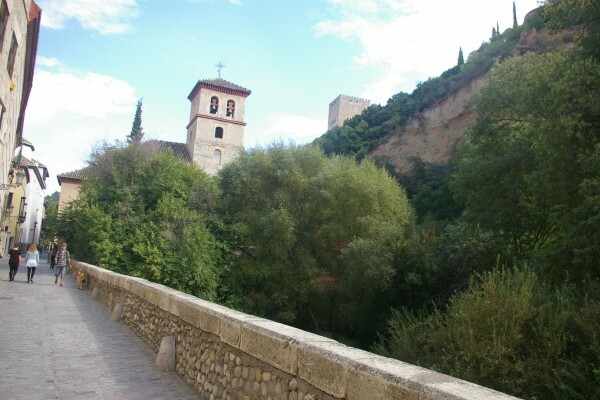 After a relaxing and pleasant fifteen-minute walk you will find yourself at the Alhambra; and in only five minutes you will be at Sacromonte neighbourhood, where you will have the chance to discover the “flamenco world “in the famous caves (an experience you can’t miss). And if you still feel like walking, another five minutes will take you to the cathedral and the city centre. There you will find all kinds of shops, bars and Spanish Language schools, apart from different types of services and facilities. The nearest Tourist information point is nearby as well as the well-known Arabian baths. Our area is very well-communicated; the airport bus leaves you very close to our house and you can take all the bus lines nearby. 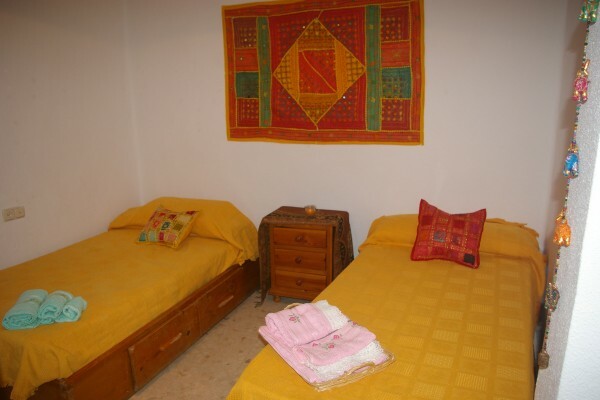 Our house has got two double bedrooms and one single room (three in total), all of them with natural light, and of course, bed linen and towels are included. There are also wardrobes and desks you can make use of. There is a big and nice living room with spectacular views of the Alhambra, a totally equipped kitchen (ceramic cook top, oven, microwave, fridge, washing machine, coffee machine, blender, iron and all the kitchenware you will need to feel really at home). You will also have plenty of room where to keep your stuff. There is also a large bathroom and a cozy room where we can share a tea and a “cachimba” (the traditional Arabian pipe) after a delightful but also tiring day in an amazing city. We also offer free WI-FI, so you can keep in touch with your friends and family and share with them your incredible experiences in this city! We speak English very, very well and we will be glad to help you whenever or with whatever you need as we are natives of Andalusia! We are young and easy going so don´t have second thoughts about visiting us!! We are waiting for you! Love and Respect is our motto! See you! No experiences yet with Warm room in the foot of Alhambra. Be the first! Did you stay in Warm room in the foot of Alhambra? Let us know what you thought about it and help others to make the right choice! * I confirm having stayed in Warm room in the foot of Alhambra. 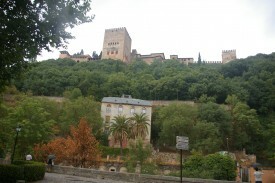 Find other bed & breakfasts in Granada or all bed & breakfasts in Andalusia.